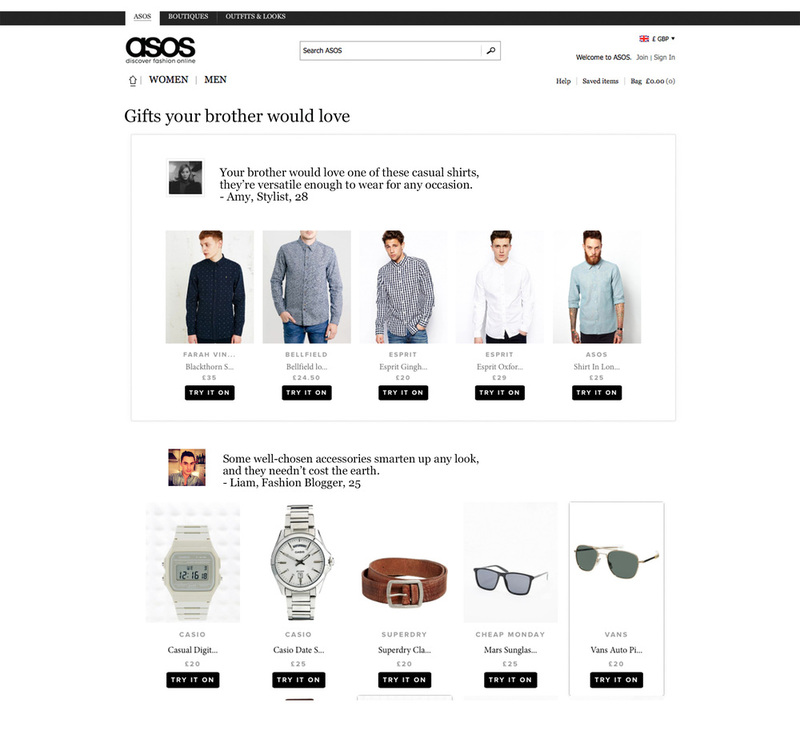 For a pitch to ASOS, we proposed two Christmas themed ideas: #FriendsWithBenefits would be a campaign leading to a landing page where you and your friends could make recommendations to each other, or even ask for help on your look. Gift Finder would solve the problem of what to buy your partner, family and friends. With an interactive slider that would lead to expert-curated shopping lists. My job was to take these ideas and bring them to life visually. I even created a video to fully demonstrate how the gift finder would work.